LONDON, England -- Transparency International has criticised Ukraine, Russia and the UK for allowing former Ukrainian president Viktor Yanukovych to enjoy impunity in the face of grand corruption allegations. Former Ukrainian president and bandit, who stole billions from Ukraine, Victor Yanukovych. 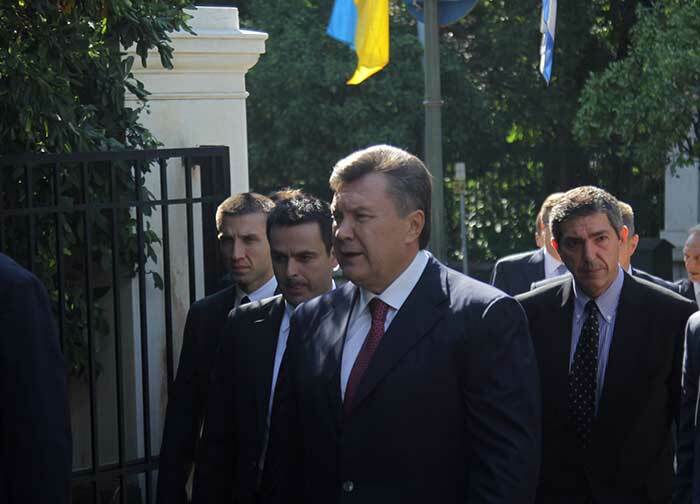 The anti-corruption organisation has called on the countries, as well as the European Union, to do more to investigate Yanukovych’s alleged crimes, bring him to justice and to recover billions of euros of stolen assets he is alleged to have stolen. “Since Yanukovych escaped to Russia, little has been done in Ukraine to investigate the serious and numerous allegations of grand corruption against him and his cronies,” explained Andrei Marusov, chair of the board at Transparency International Ukraine. Russia’s failure to extradite Yanukovych, a well-known ally of Russian president Vladmir Putin who sought sanctuary in Russia after being ousted during the 2013-14 unrest in Ukraine, however also prevents the Ukrainian authorities from charging their former president with his crimes. Russia has given Yanukovych citizenship – which means he cannot be extradited – citing the current political situation in Ukraine. But Transparency International also accused the UK of facilitating Yanukovych’s corrupt regime and continued impunity. Robert Barrington, executive director of Transparency International UK, said the country has been implicated in laundering the assets of a number of Yanukovych’s close associates, known to have propped him up while in power. “The UK authorities need to be vigilant in the hunt for stolen assets and unexplained wealth, and this needs active support from their counterparts in Ukraine,” he said. He called for “systematic reform” in the UK relating to property ownership and the UK’s overseas territories and urged prime minister David Cameron to make good on his promise to ensure the UK isn’t a “safe haven for dirty cash”. Transparency International urged Russia to cooperate with the Ukrainian authorities and prosecute Yanukovych under Russian legislation, in line with the United Nations Convention against Corruption, signed and ratified by Russia in 2003. It also called on the European Union to renew and strengthen current political and economic sanctions against Yanukovych and his cronies, which are due to expire in March. It said EU countries should effectively boycott politicians involved in Yanukovych’s corrupt regime, preventing them from crossing their borders or securing EU contracts. Two years on from the Euromaiden uprising, Ukraine is still marred by corruption scandals in the new government. A number of senior political figures, including economic minister Aivaras Abromavičus, have resigned citing corruption within the government. The International Monetary Fund also recently threatened to withdraw its $17.5bn bailout support programme due to the slow pace of anti-corruption reforms.